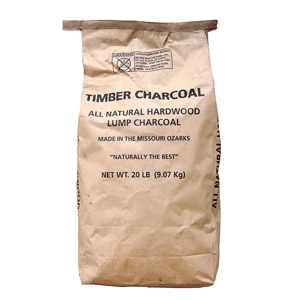 Our Natural Hardwood Lump Charcoal is made in the Ozarks of Southern Missouri. We also have Bio-Char fines available. The wood used to manufacture the lump charcoal and Bio-Char fines is a mixture of hardwoods that are primarily oak and hickory. 20 lb.